For life today in America is based on the premise of ever-widening circles of contact and communication. It involves not only family demands, but community demands, national demands, international demands on the good citizen, through social and cultural pressures, through newspapers, magazines, radio programs, political drives, charitable appeals and so on. My mind reels with it. What a circus act we women perform every day of our lives. It puts the trapeze artist to shame. Look at us. We run a tight rope daily, balancing a pile of books on the head. Baby-carriage, parasol, kitchen chair, still under control. Steady now! I’m in bed wearing thick, unflattering sweats. The kind with an elastic waist and trouser legs. They might be Hanes, and I don’t know how I came to own them. I suspect the year 2005 was involved. I’m braless and in an old t-shirt. My hair, now barely past my shoulders, is in a haphazard bun. To counteract the loose hair, bobby pins provide multiple anchor points so that not one strand of hair touches my face. I hate the feeling of hair on my face. It’s one of the reasons I don’t wear thick lipgloss. The only thing worse than hair touching my face is hair touching my face while sticking to my lips. I haven’t stopped since the 19th of December. I couldn’t do mass or the lights today. I couldn’t. I gave my apologies and sent the Mister and the boys on without me. Then I hid in my room. I know the above doesn’t seem like a lot to some people but, for me, having something to do every single day without a day to recharge is a strain on my sanity. Call me an introvert, a recluse, a hermit–the label you assign makes no difference to me. The truth is that the holidays drain me. From the onset of Thanksgiving until the end of the year, I’m an increasingly frazzled bundle of nerves. It takes the fun out of what should be a joyous time. I told a friend today that Christmas should be a quiet time to reflect on the birth of Jesus, but I feel like I’ve done anything and everything but reflect or rest or think. My youngest brother recharges with the excitement. Going here and there and meeting people and parties and shopping and everything, everything, everything. He loves it, you can tell. One is not better than the other. People are different. If you know someone like me, do not try to motivate them to leave the house by saying something like just do it for the kids, it’s their Christmas vacation. This makes me feel horrible. You say just do it for the kids and I hear a good mother would put aside her discomfort for her children. Oh, and good job ruining their Christmas. If you know someone like me, do not try to motivate them to leave the house by saying something like go take a walk and see if you get more energy. I will not get more energy. A 20 minute walk will not make up for 9 days of activity. I am not a fast charging smartphone. For to be a woman is to have interests and duties, raying out in all directions from the central mother-core, like spokes from the hub of a wheel. The pattern of our lives is essentially circular. We must be open to all points of the compass; husband, children, friends, home, community; stretched out, exposed, sensitive like a spider�s web to each breeze that blows, to each call that comes. How difficult for us, then, to achieve a balance in the midst of these contradictory tensions, and yet how necessary for the proper functioning of our lives. How much we need, and how arduous of attainment is that steadiness preached in all rules for holy living. How desirable and how distant is the ideal of the contemplative, artist or saint�the inner inviolable core, the single eye. I was able to finish Gifts from the Sea in my time away from everyone. It’s a short book, but one that has taken me months to read. It’s a memoir of sorts written 60 years ago by Anne Morrow Lindbergh at an island cottage while on a week long vacation from her family. 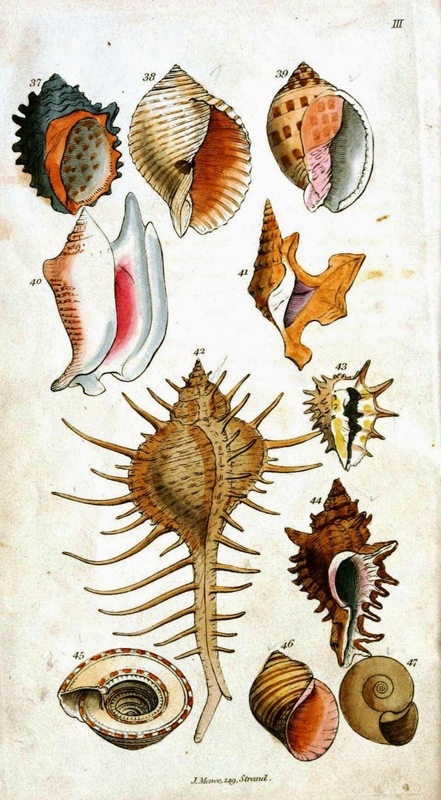 The book is divided into 8 chapters, 6 of them devoted to a different shell washed upon the shore. 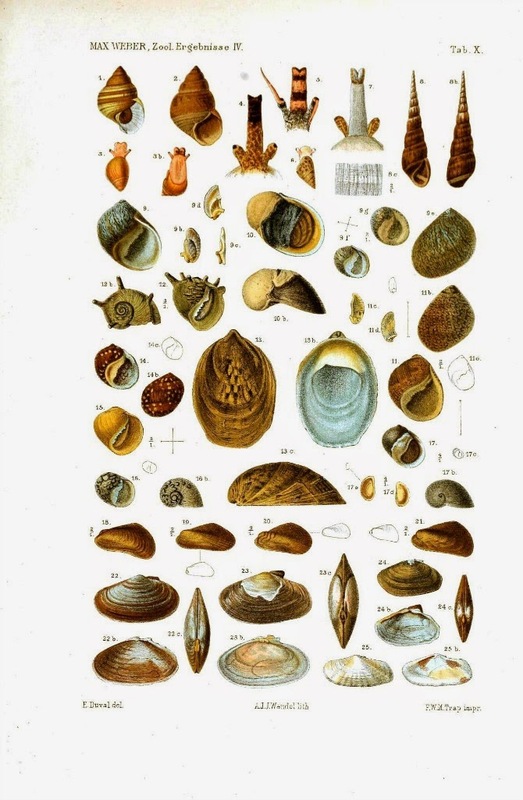 Each shell represents particular period of a woman’s life. It’s a series of philosophical essays on simplicity, solitude, and spiritual life. I couldn’t have picked a better time to pick up and finish this book. As much as I dread the holidays, I love New Year’s. Not the parties–of course not–but the idea of a new beginning. I love, love, love January. To me, the whole month is like slipping into a soft bed with fresh sheets. January is clean, a fresh slate. As my favorite month approaches, I’m looking around and allowing the clutter around the house to motivate me once again to minimize my possessions and treasure what stays. One cannot collect all the beautiful shells on the beach. One can collect only a few, and they are more beautiful if they are few. One moon shell is more impressive than three. There is only one moon in the sky. One double-sunrise is an event; six are a succession, like a week of school days. Gradually one discards and keeps just the perfect specimen; not necessarily a rare shell, but a perfect one of its kind. One sets it apart by itself, ringed around by space�like the island. For it is only framed in space that beauty blooms. Only in space are events and objects and people unique and significant�and therefore beautiful. A tree has significance if one sees it against the empty face of sky. A note in music gains significance from the silences on either side. A candle flowers in the space of night. Even small and casual things take on significance if they are washed in space, like a few autumn grasses in one corner of an Oriental painting, the rest of the page bare. I work with kids all day long and I still find it draining when they are in my house. I guess because my home has become my hidey hole. I read this earlier this year and really enjoyed it. Very timeless and true in so many ways. Also, not too terribly wordy like some of these kinds of books can be. Glad you got your down time; I also struggle with this sort of thing and totally see where you're coming from! Timeless is a great way to describe this book. Yes, I totally get you. I am the same. Thanks for sharing a part of this beautiful writing. Yes, yes, yes! Oh my gosh, yes. You put into words exactly how I feel, especially about Christmas. My husband and mom understand but no one else in my family seems too. This year was spent with my in-laws which is the epitome of noise, chaos, clutter and over-stimulation. I truly felt like I was going to have a breakdown while I was there and had several times of being on the edge of panic attacks. I can't tell you how comforting it is to know I'm not alone. I also love January and am ready to start fresh. I fall almost exactly between introvert & extrovert. Sometimes things energize me and mostly I do love going out and about. What I don't love is not being in control of my own time. If I can choose when to be out with family, friends, … the masses, I thrive. If I cannot, many times I feel worn out before I even start. (Some of that is because the nature of my career is 45-50hrs a week with people, smiling & nodding and trying not to say 'are you f'ing kidding me right now? No one is that stupid! I can't fix stupid' you understand the awesome amount of energy this takes lol). I also think that our society leaves very little time to be still, if you try you're automatically marked as an introvert/ hermit or just lazy. I'm fighting back. This year? I still saw family, but made sure that my time was spent on the priority items and not just a bunch of 'shoulds' . Most everyone understood and I found that my daughter hasn't been overly hyper or rundown through the month either. Who knew? Good for you sending the boys and mister on to activities they wanted to do so you could get some downtime. Ooooooh. Maybe not being in control of my own time is the problem? That's a really good observation on your part. I need to noodle on this for a bit. Control over my own time is a big thing for me too. I think it is because I am tied to a train schedule 5 days a week. I had a breakdown on Saturday when I tried to go back to my regular Saturday gym class (which I love)–I had spent the week before the Christmas off form work, but out of the house every day for errands & I just couldn't leave my house knowing I had to be there at a certain time, with certain things (that I couldn't find). It was a big moment for me–realizing what I really needed & doing it instead of doing what I *should*. Sounds like you both did the same! Introverts unite! When people like that even hint that I "should" be doing things, it makes me all swear-y in my head. Judging from this and your usual activities, it seems that plenty of energy goes into kid-friendly activity. (My, but that struck a chord, didn't it? I don't think that was your whole point….) Glad you took a minute to regroup and recharge! And I love the New Year, too — so much so that I start getting afraid of looking forward to the fresh start too much, if that makes sense. :) Happy New Year to you and yours!! Hahaha! I also worry that I'm looking for to the new year too much. I thought it was just me! holy funny! I am not a fast-charging smartphone either (and I plan on using that phrase from now until forever)…you verbalized so many of my holiday emotions…relieved and grateful to know there are others in my *tribe* out there feeling the same! I feel like I am slowly learning how to safely navigate the Holiday chaos…and in turn help my teenaged daughter who is exactly the same way. Completely agree. Only if I have too many days of go-go-go-all-in-a-row, I get sick. Which is why I've learned that after day 3 I have to say no or accept the consequences. Usually I say no. I hate being sick. Jules…I came here at the suggestion of JoAnne. I am absolutely identifying with you on every level. The hoidays. obligations, stress, frustration. I think I will enjoy your blog! lol! Love to you and a Happy New Year! Please stop by.